Four days diving the cold waters of Browning Pass aboard the Nautilus Swell. My DSLR housing wasn't returned as promised from servicing, so these photos were all taken with a Canon G15 compact camera (in RecSea housing, dual Inon strobes), so they aren't up to (what I like to think of as) my normal standards, but hopefully they still provide an idea of the beautiful underwater scenery there! 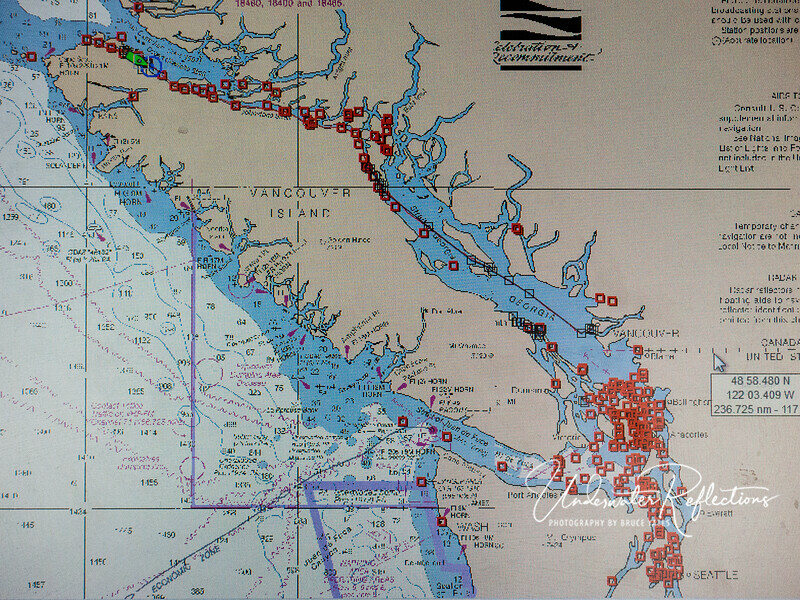 Port Hardy is at the North end of Vancouver Island - where the green boat is on this GPS screen. Note Seattle at the bottom right for reference.